She grew up in Alsbach-Hähnlein (Southern Hesse) and read chemistry, pharmacology and medicine in Darmstadt, Regensburg and Munich. 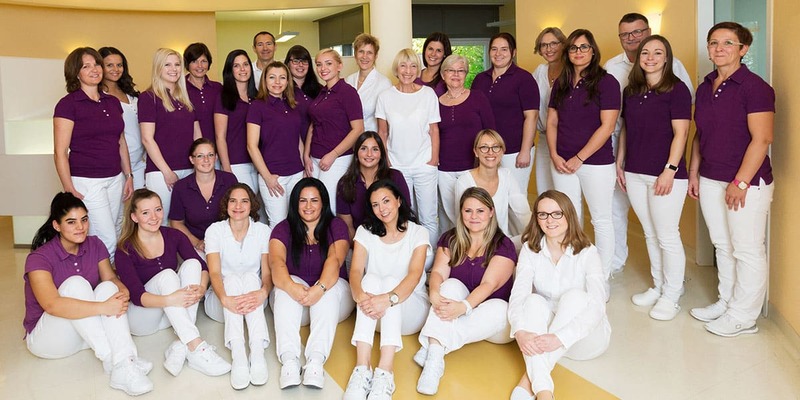 Training in gynaecology, endocrinology and reproductive medicine from 1992-98 at the University Hospital of Munich Großhadern (Prof. H. Hepp, Prof. T. Strowitzki, PD Dr. M. Korell) with continuous work in the hormone and fertility clinic as well as in the IVF lab. 1999-2003 Senior consultant at the fertility clinic in the Department for Gynaecological Endocrinology and Fertility Disorders at the University Hospital, Heidelberg ((Prof. T. Strowitzki). She joined the Heidelberg Fertility Clinic as a partner in 2004. She is devoting her heart and soul to reproductive medicine. In her daily care for her patients, she combines empathy with competence. Married, two children. In her free time, she is a very active parishioner and holds various voluntary positions both privately and professionally.